Don’t let my story become your story. Like most Americans, I thought asbestos had been banned, until my husband, Alan, was diagnosed with mesothelioma. As we searched for treatment options, we realized asbestos was still legal and lethal in the United States. We were angry — and like many others — vowed to work to end the asbestos man-made disaster. The past fourteen years have been a harsh teacher. For more than 100 years, it has been known that asbestos exposure causes injuries, disabilities, illnesses, and deaths. Each year, according to the Global Asbestos Disaster study, nearly 40,000 Americans die from preventable asbestos-related diseases, while hundreds of tons of raw asbestos continue to be imported and used. Most Americans can’t identify asbestos or manage the risk. When you combine a lack of asbestos awareness with a lack of appropriate government regulations, something horrifying happens: Americans continue to be exposed to asbestos. Although workers and firefighters are the primary group of people exposed to asbestos, their spouses and children may also be exposed when these workers unknowingly carry home asbestos on their clothes or in their hair. 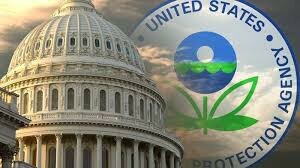 Over forty years ago, Congress tried to end the asbestos man-made disaster by signing the Toxic Substances Control Act (TSCA) of 1976 into law, but in 1991 the United States Environmental Protection Agency’s (EPA) asbestos ban was overturned by industry pressure. While Alan was breathlessly fighting for his life, Asbestos Disease Awareness Organization (ADAO) joined others to reform the fatally flawed TSCA. Everyone, including the chemical industry, used asbestos as the poster child for the need to reform TSCA. It was abundantly clear to all lawmakers and stakeholders, that any TSCA reform legislation must enable and ensure the EPA could finally ban asbestos, or this reform would fail Americans again. As a mesothelioma widow, I remind Congress that for every life lost from asbestos, a shattered family is left behind. And trust me, I’m sadly not alone. Our fight is your fight. On June 1, the EPA released the Problem Formulation of the Risk Evaluation for Asbestos, which lays out how the substances under TSCA will be evaluated. With the release of the document, we saw that the EPA neglected to do their job of protecting the public from the deadly harms of asbestos and the other nine prioritized chemicals The EPA’s failure to protect public health is appalling, as seen in their grossly inadequate approach to evaluating the risk of asbestos. The EPA is relentlessly ignoring the risks of asbestos in our homes, schools, workplaces, and communities, referred to as ‘legacy’ and also the Libby Amphibole. EPA refuses to consider the risks of asbestos releases to the environment, including the dramatically increasing amounts of asbestos that are placed in landfills across the US. For the first time ever, the EPA has proposed a SNUR (Significant New Use Rule) which would allow for new uses of asbestos. Chlor-Alkali industry, the primary asbestos importer and user, is stockpiling hundreds of tons. Early ADAO research confirms, that between January and April 2018, the chemical industry imported 257 metric tons of raw asbestos from Brazil and Russia, which is four times greater than January-April 2017 when imports were 67 metric tons. Trump is the poster child for the Russian asbestos miners and exporters. A Russian company with ties to Vladimir Putin, is praising President Trump for allowing asbestos to remain legal in the U.S. with a photo graphic and slogan saying “Approved by Donald Trump, the 45th President of the United States. If the EPA is unable to protect the public from asbestos, the poster child substance of TSCA, how will they protect us from over 80,000 other chemicals grandfathered into commerce? As Less Cancer says, “Although a small percentage of cancers are driven by genetics, the rest are often results of external forces.” Asbestos is a great example of this. Exposure to asbestos leads to multiple forms of cancer, and if we prevent and eliminate asbestos exposure, we eradicate cancers. ADAO proudly stands with Less Cancer as we work to advance prevention and policy efforts to eliminate cancer. As the Chinese Proverb says, “Out of the hottest fire comes the strongest steel.” I am certain we are galvanized for the fight ahead. Linda Reinstein became a public health advocate after her husband, Alan, was diagnosed with mesothelioma in 2003. 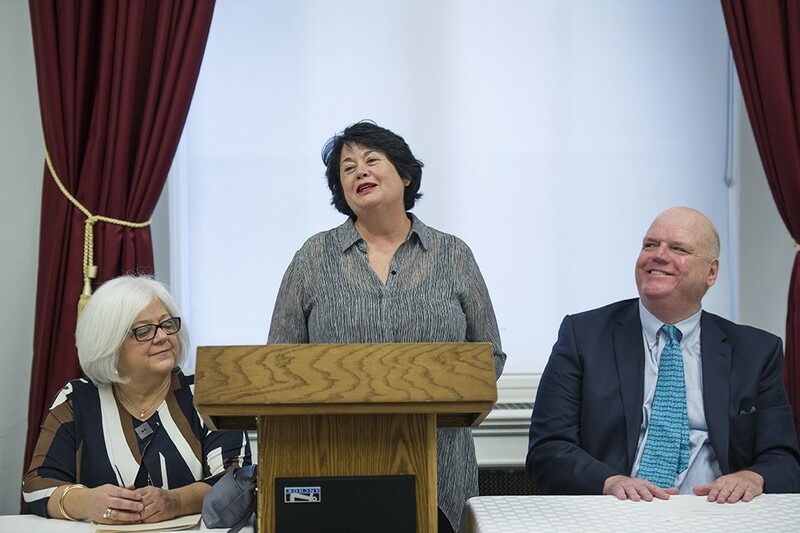 One year later, she co-founded the Asbestos Disease Awareness Organization (ADAO), dedicated to eliminating asbestos-caused diseases and protecting asbestos victims’ civil rights through education, advocacy, and community initiatives. Recognized as a prevention and public policy influencer, Reinstein has been a strong political voice for major local, national, and international issues. Serving as President and CEO of ADAO, she organizes the only annual international educational conference in the U.S. solely dedicated to eliminating asbestos-caused diseases.